Ritual On the Road represents an innovative distribution system directly from the fermenter to the consumer. 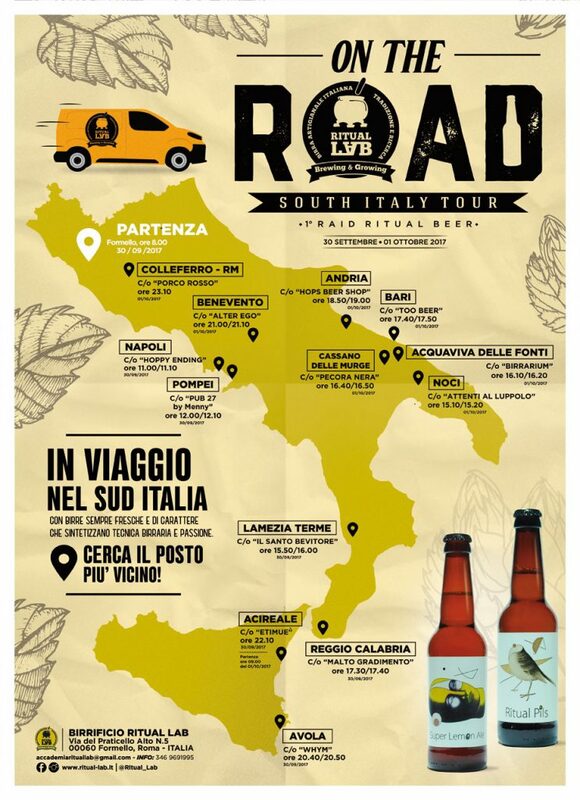 Refrigerated vans deliver our fresh product all over Italy just a few hours from placing the beer in kegs without going through intermediaries, thus guaranteeing the unaltered quality of the product. The project “ON THE ROAD” originated from the need to get our product always fresh, at its maximum moment in every corner of our peninsula. Our kegs do not pass from hand to hand, from distributor to distributor but are followed from the packaging to the delivery only by us. Each phase takes place at a controlled temperature,our beer never interrupts the cold chain, thus preserving itself in the best possible way. All this to give the final consumer a quality drink but above all to maintain unaltered the taste-olfactory profile thought out originally by the brewer. HAVE YOU GOT A BAR, CLUB? DO YOU WANT TO BE PART OF THE PROJECT?